Microservices, a word that has been buzzing around a lot, every one is writting, speaking and developing under the microservices mindset, but it is never that simple, just splitting a service into small pieces and having them interacting over the wire can cause a great mess. Not having a good planning on how the service will interact, can cause an auto DDoS, because all the services are too chattie and then overload the network, so essentially, you performed an DDoS attack just by trying to run your system, congratulations. Now that the naive solution (http) is discarted, how can you interact in a system where everything is logically separeted? Many solutions have evolved throught out the years, one of the best solutions, specially if you need one way communication, is using a queue service, where messages can be posted and they can be received from the other end of the queue to be proccessed. RPCs (Remote Procedure Calls), this method of executing actions is sometimes slow, depending on the level of concistency been used, two-phase commit is very costly but is very effective. Great news came last month, Microsoft launches it's first non-NT based OS, it is an Linux based OS for MCUs (microcontrollers), the great thing here, they claim to have a solution for the security problem on IoT, they claim to have the most secure OS for MCUs, we all remember that dark day when the "full" internet was down, because a botnet took down one of the main DNS service providers in the USA, it was a hard punch to the IoT movement but also was an oportunity to really make a deep dive into the security issues of IoT. Microsoft published a great post providing a great overview on the product, but lets just review it. The certified MCUs are, as they state, secure from the silicon, that means that security is the first thougth when building one of this MCUs, but how efficient and cost-value effective are them? well, we don't know, the first one is about to lauch but no price has been said. Azure Sphere OS: it is a OS that is built for security and agility, thats what they have said, but I haven't found any security test results on the web. Azure Sphere Security Services: this are cloud services built to provide an upper layer of security to the MCUs and also a layer to push updates of the firmware and user software that will run on the MCU. Well, we know that they love to charge for everything, and also if the services are bound to Azure, then maybe that could be a barrier that is hard to tackle, because not everyone likes Azure, every one have their issues with any cloud provider. A common practice during development is to just hard code every connection string that is been used on the project, but why is this a bad, and I mean a really bad practice? 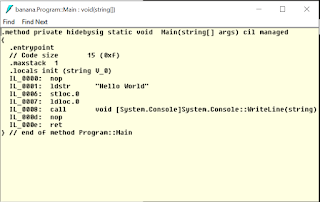 As we can see, the line marked as IL_0001 is where the sintrg is been loaded to a variable, it is just written there, with out any consideration, imagine if someone gets access to your binaries, then they can just decompile them and read any sensitive string that was just hard-coded inside the program. ObjectAccessControls, all of them have their own capabilities and ways to charge you for those services. Now, you maybe asking, why would I trust any of this companies to save my important stuff? You don´t have to, but they are certified by some external authorities, so at least you have a way to berify their security. Elevation of privilege or privilege escalation is a group of attacks, where the attacker gets can perform an action that he originally didn't had permission to do by exploting a bug, a design flaw or a oversight configuration [Wikipedia]. "So, if I 'accidentally' opened a file that was on the folder of an administrator, then I had performed that kind of attack?" Actually, yes, if you were supposed to don't have access to that file. Now, lets talk about Windows, it is not a surprise that Windows is one of the most attacked OS, so a lot of vurnerabilities had been found and patched but there is also that weird config under the system that is made to keep you safe but comes unsafe by default. One of those configurations is the one that allows any system to install with all privileges, even adding new users and making them part of the administrator group, so as you can imagine, full access for that user on the system. A great repository to test your settings is the one from PowerShellMafia, the repository is PowerSploit, please note, this scripts are meant for testing, any other use maybe considered illegal. Also, it is important to note that at least Windows Defender blocks all this scripts as trojans, in fact, they are trojans but in good hands, any weapon can be used for good. El caso de Facebook con Cambridge Analytica ha sido muy sonado en redes sociales y medios de comunicación en general. Se sabe que aproximadamente 270 mil usuarios de Facebook le dieron acceso consiente a la aplicación que se utilizó para minar datos de los próximos votantes de EUA, pero también se sabe que no solo se hicieron perfiles de esos usuarios, se hicieron perfiles de 87 mil millones de usuarios, esto por una característica de la API de Facebook, que permitía obtener la información de los amigos del usuario que aceptara los términos de la aplicación, por lo que ahora no solo se tenía la información de aquellos que conscientemente aceptaron, si no de todos los que no sabían de la existencia de esta característica. Ahora, en cuanto supe de porque había sido el filtrado de tanta información me di a la tarea de desactivar esa característica para mi usuario. Aquí dejo una guía paso a paso. 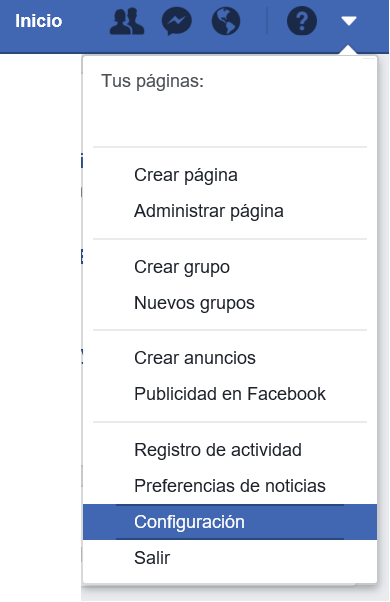 Primero nos vamos a la pagina de configuración de Facebook. Después, en la barra de la izquierda seleccionamos "Aplicaciones y sitios web". Ahora, en el panel hasta abajo de la pagina, tenemos cuatro opciones, en el recuadro de la esquina inferior derecha está la característica que buscamos desactivar... o estaba, porque como podemos ver ya no existe y está marcada como obsoleta. Después de un poco de investigación, podemos ver en este reporte que Facebook deprecó múltiples campos en bastantes endpoint para evitar lo que ya les sucedió con Cambridge Analytica, así que nos podemos sentir un poco mas "tranquilos" de que al menos, ahora nuestros amigos no van a poder filtrar nuestra información. I recently revisited and old repository on my public GitHub, and I was impressed on how good is the platform, as soon as I was on the repository, I was checking I was received by a big yellow banner alerting me on a dependency vulnerability. One of my JS dependencies is vulnerable! but when I checked the vulnerable dependency, I was surprised by how the vulnerability is really hitting me. It is a dependency of one of my dependencies, and then I just started wondering, how may other packages or systems can be affected by things like this! It is not just a dependency, it is a dependency I trusted because I trusted on Chart.js. Now, ASP.NET Core is one framework I use a lot, and .NET Core is the runtime on which it runs, since it is now open source, I decided to take a look at their announcement repository, just to know if they have something where they tell everyone about a known security issue. To my surprise, they do have a tag of security, and they are continuously updating it, on the .NET repository as well in the ASP.NET repository. So, now lets take a look at one of those issues, Elevation of Privilege is a common attack on windows systems, so having those kind of problems on a server in a cloud platform seems like a bad idea, lets take a look at the most recent Issue. And to my surprise, it is very well documented, it has all the necessary info about which software is affected and how to be safe, which versions of the runtime or packages are already patched so you can update to those ones. I love visiting different places to eat, like restaurants or small business that serve great food, and beer. 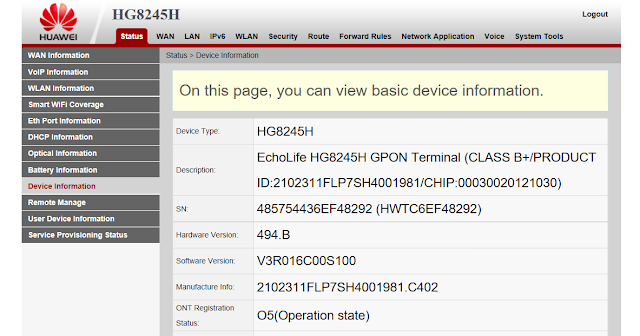 As part of my weekly visit to one of those places, I found that their Wi-Fi router was vulnerable to one of the most common and easy attacks, getting into the administrative panel and do what ever you want, because the password was the default! Then I did what any person with minimum search skills could do, just searched for the default login password and username for that specific modem, which was cleverly publish on this website. I entered those default username and password and boom! I was in, just got access to the full administrative panel of a place where they have a computer for accepting payments, where Rappi or Uber eats can place orders, and also where they use a terminal to make charges to credit and debit cards. After that I immediately told my waiter that I needed to talk to the manager, then he showed up and I explained to him what I did, and how easy it is to find those kind of things, he completely understood the problem and fixed it by the next day with some help, and he offered me a beer for the finding, so everyone was happy at the end of the day.